Respected South African rapper Nasty C has reintroduced himself to his fans. The ‘Strings and Bling’ rapper made some amazing adjusted to a part of his body in a fun way. 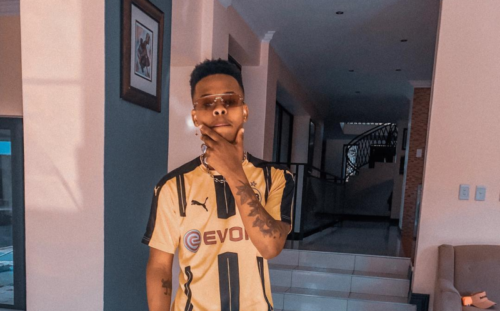 Nasty C gave himself a ‘lip job’ as seen in a new photo he shared online. As seen on Instagram, Nasty C wrote ‘Allow me reintroduce myself‘ as his caption. Maybe the rapper could easily go by the name Nasty Lip.